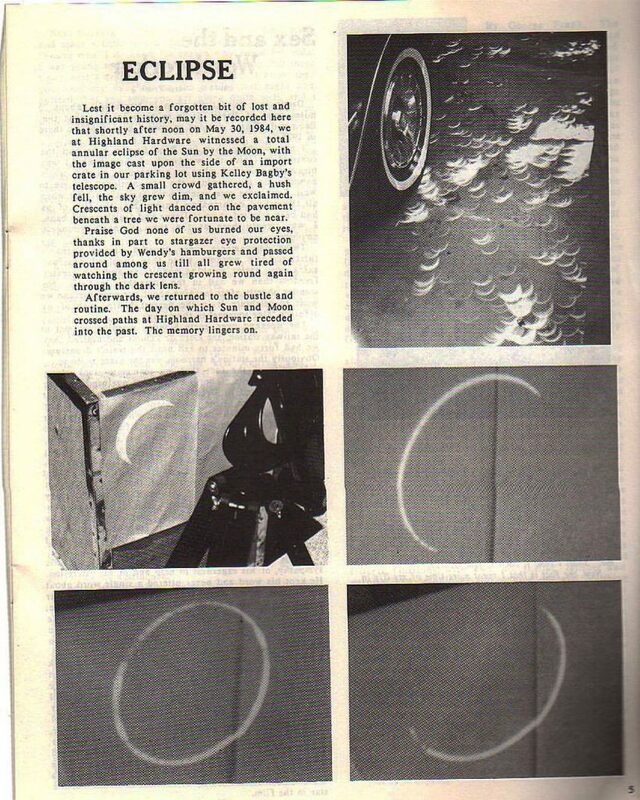 Prior to today’s 97% eclipse here in Atlanta, the last annular eclipse that was seen in the area was back on May 30th, 1984. Back when Wood News was a print publication, we included pictures and a write-up from the events of that day. This year’s event was another exciting one here at the store, with employees talking about it throughout the morning. 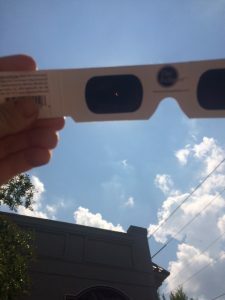 Once the eclipse started around 1:05pm EST, Highland employees took turns going outside to look through the few pairs of eclipse glasses that some of our fellow employees were nice enough to bring and share with the rest of us. 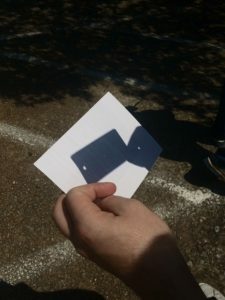 One of us even brought a welding mask and another made a pinhole camera out of paper. While it didn’t get completely dark down here at Highland Woodworking, you could definitely tell a difference in the light, not to mention the quietness that occurred. 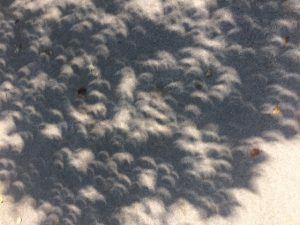 One of the highlights of the event was the beautiful crescent shadows made by the trees located throughout the store parking lot. Highland Woodworking Rated “Best Hardware Store”!